The Norwegian word for a bear is “Bjorn”. What a perfect name for my new quilt top. 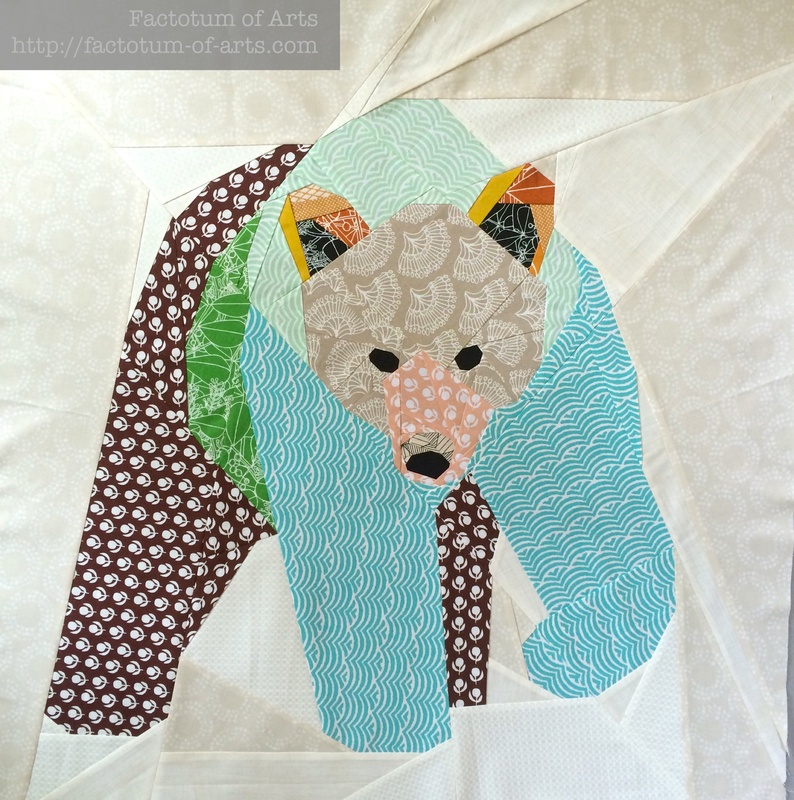 I had the great pleasure of testing this giant bear paper piecing pattern for Juliet over @ Tartankiwi. Once again she developed a wonderful pattern!! UPDATE: Pattern is now available in Juliet’s shop on Craftsy. 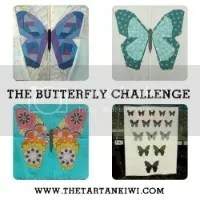 On another note, but still related…..Juliet @ Tartankiwi is running a fantastic challenge with her butterfly patterns. There are prizes (oakshott cottons!!). So, check it out, have a go with her patterns – entries are open until 31st August. 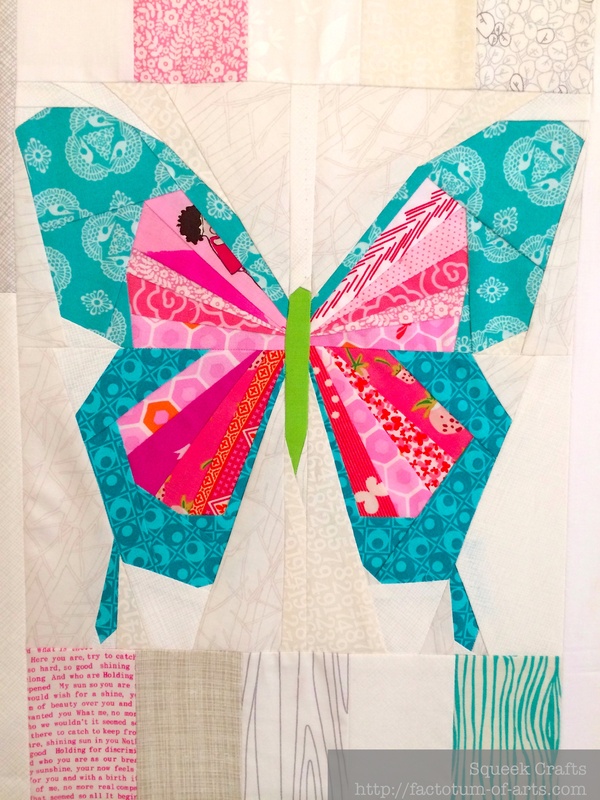 I am submitting the Kaleidoscope of Butterflies quilt, I made with her butterfly patterns….which details can be found here. Just to inspire you/ challenge you all to join in….some close ups of the two bigger butterflies. This entry was posted in Uncategorized and tagged Bear, butterfly challenge, paper piecing, tartankiwi on August 19, 2014 by mlwilkie. Juliet is very clever at designing the patterns but you are equally clever at coming up with beautiful fabric combos; the bear is perfect! I have admired your butterfly quilt before, good luck with your entry, it’s so gorgeous. Thanks once again for doing such a great job of pattern testing! You know I love both your Bjorn and your butterfly quilt- right!?!. Your work is amazing! what an awesome large block for a quick finish. I can see it surrounded in restful greens and browns for a cottage retreat, or in bright modern fabrics as you have done here. I do love that bear! He is going to make an awesome wall hanging for a baby’s room! Every time I see that butterfly quilt, I like it more and more. The bear is fantastic. After seeing so many this summer I feel like I need to make one. Love the bear! 30 inches….wow….such a statement piece. And I have loved your butterfly quilt from the first time I saw it. Beautiful. Love the bear and the butterflies are beautiful! I love the bear …so gorgeous!! The Butterfly quilt is beautiful too! 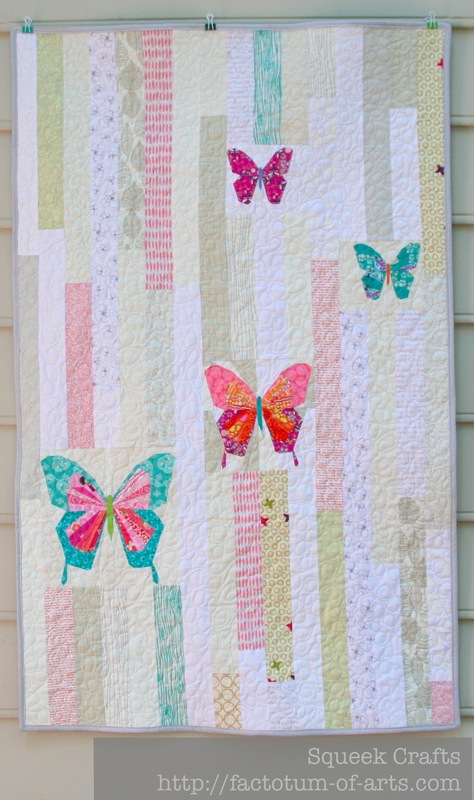 Cute butterfly quilt, I like the strips running vertically. And that bear is awesome! 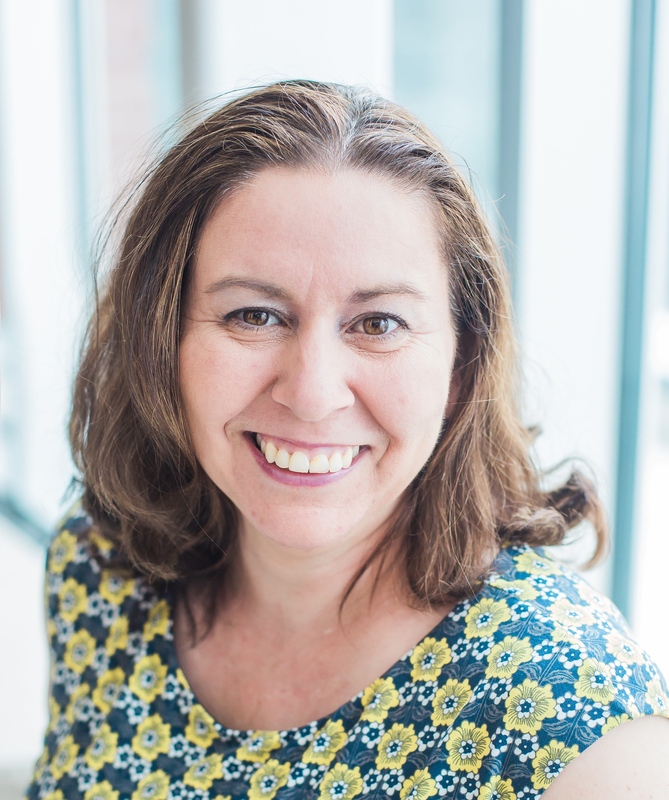 The bear block is awesome…. But I just can’t get enough of that butterfly quilt! I love it more every time I see it! I love the way you’ve placed the butterflies into the stripes. Aren’t Juliet’s patterns wonderful?!! 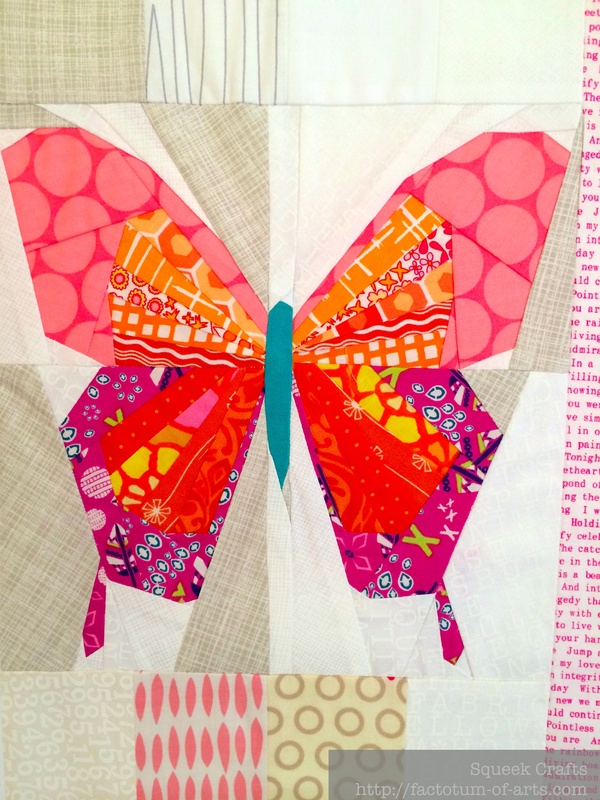 Bjorn is beautiful, as is your butterfly quilt – wonderful!